4k00:12Kuala Lumpur, Malaysia - October 06, 2018: Beautiful misty cityscape wide view of Kuala Lumpur skyline during sunrise or sunset, from dusk to dawn. 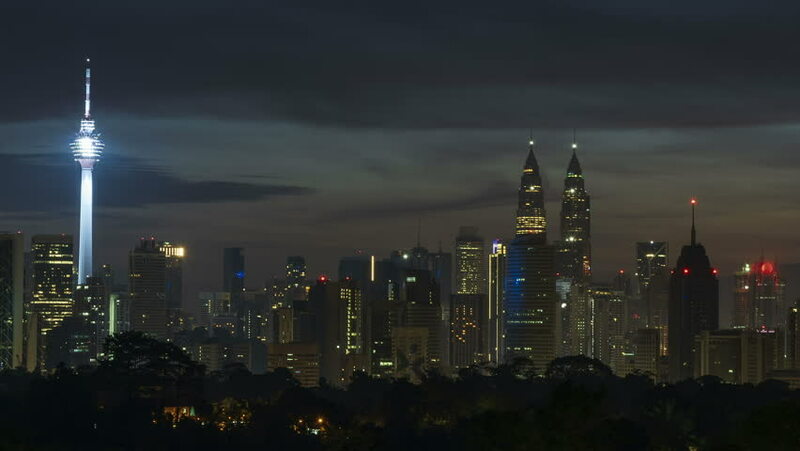 4k00:14Time lapse: Kuala Lumpur city view during dawn overlooking the city skyline from afar with lushes green in the foreground. 4K resolution. Zoom in motion timelapse. 4k00:13Time lapse of cityscape night view busy light trail traffic on a freeway of Kuala Lumpur, Malaysia and the city lights dimming out. 4K.